IRISnet is designed to be the foundation for next generation distributed business applications. It is a self-evolutionary BPoS blockchain, built with Cosmos-SDK, that enables cross-chain interoperability through a unified service model. IRIShub is the first blockchain in IRISnet. 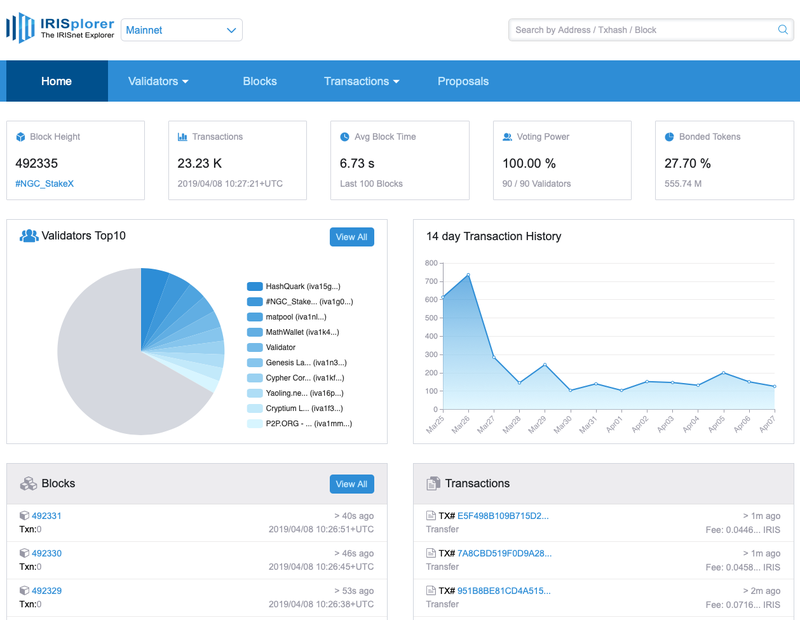 It’s based on Tendermint Bond-Proof-of-Stake（BPoS）Consensus. One of key innovations of IRIShub is iService. IRIShub has been launched on March 1, 2019. Read more here. IRIS Foundation is a nonprofit entity, based in Hong Kong, and subject to the exclusive jurisdiction of the courts in that place. The Foundation has the mandate to promote and develop technologies and applications, in particular, ecosystem developments. Bianjie is the core development team for IRIS Network, leveraging the team’s experience established from building distributed applications. Bianjie is a Shanghai-based start-up established in 2016. Bianjie also won serveral important national awards including the Excellent Enterprise Award of the 7th China Innovation & Entrepreneurship Competition, etc. Tendermint is the team that developed the Tendermint consensus engine and is currently building Cosmos Network. Interchain foundation & HashKey Group are strategic partners of IRISnet. IRISnet is built by a worldwide team of passionate developers. More info could be found at our website on collaboration. 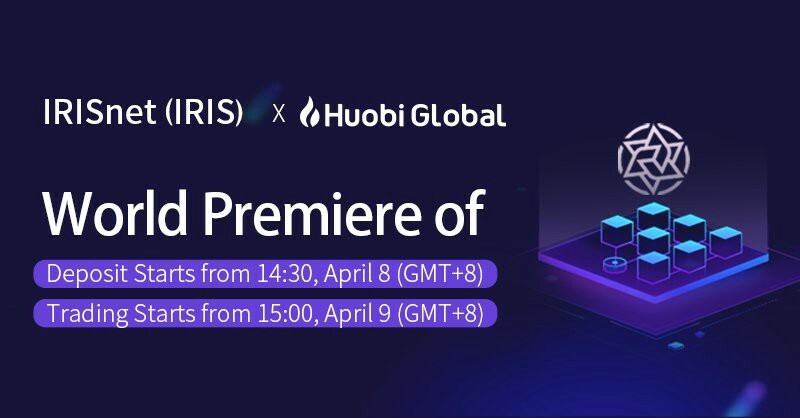 Individuals who want to acquire IRIS can now do so on Huobi Global and Huobi Korea. Holders can use IRIS for spending, bonding, delegating , or simply HOLDing. Even though the value of holding the tokens will slowly be diluted due to inflation. Like other PoS consensus algorithm, the staked token IRIS will be inflated to reward the validators who are securing the network. Since only a small percentage of IRIS community members are eligible validators. The need for ‘staking as a service’ businesses is high since multiple Proof-of-Stake networks are on the horizon. Notable staking providers including Forbole, Certus One, Cryptium Labs, Figment Networks and Lunamint will help educate people around the ecosystem. Definition: Definition of what an off-chain iService can do in terms of an Interface Definition Language (IDL) file. Binding: Declaration of the location (address), pricing and QoS of a provider endpoint that implements a given iService definition. Invocation: Handling of consumer requests to and provider responses from a given iService provider endpoint. IRIS Service Providers: Providers are network users who offer the implementation of one or more iService definitions and often act as adaptors of off-chain services and resources located in other public and consortium chains, as well as in enterprise legacy systems. Providers monitor and process incoming requests and send responses back to the network. A provider could at the same time act as a consumer by sending requests to other providers. 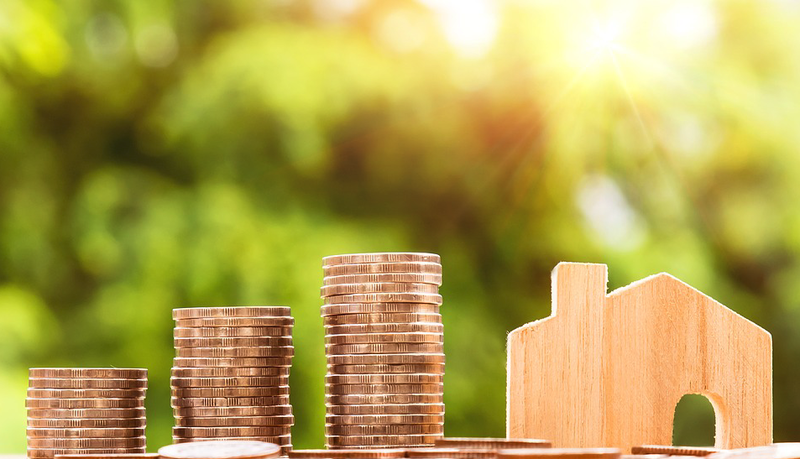 As planned, providers would be required to charge a fee for any services they might offer, and the service fee, by default, would be priced in the IRIS token. IRIS Service Consumers: Consumers are those users who consume iServices by sending requests to designated provider endpoints and receiving responses from providers in question. IRIS Service Profilers: Profilers are special consumers who act on behalf of the IRIS Foundation Limited, a Hong Kong incorporated company limited by guarantee that takes the lead in building the IRIS network. Profilers are the sole users authorized to invoke iServices in the profiling mode, which is intended to help create and maintain objective provider profiles that consumers refer to for provider screening. IRIS Service Arbitrators : Arbitrators are self-declared users who, working collectively, arbitrate consumer complaints against provider performance. The details about the arbitration mechanism are being actively worked on, please keep an eye on our whitepaper. As shown in the above chart, one example of IRIS service is a could be medical data services provided by a zone called BEAN. BEAN is a consortium blockchain. Public blockchains, like MediShares.MediShares is a permissionless public blockchain, which provides a mutual aid marketplace for participants.It could use this kind of service to help to reduce potential fraudulent activity since medical expenses can be signed for by the medical service provider directly. The value of medical data will be amplified by the invocation of inter-chain services between public blockchains and consortium blockchains. IRIS token is the native toke in IRISnet. It is intended that the IRIS network will eventually support all whitelisted fee tokens from the Cosmos network, which can be used to pay the transaction fees and service fees. Fee token: IRIS could be used to pay for network fee and service fee. Users need to pay service fee to invoke a specific service. Service Fee: It is required that service providers in the IRIS network charge service fees denominated in the IRIS token. In addition to native token: IRIS, there are plans to whitelist other crypto tokens(e.g. bitcoin or ether) for paying transaction fees & service fees on the network, once those tokens become available within the Cosmos Ecosystem. Which tokens will be accepted will be decided through governance votes. The rates for whitelisted tokens can be accepted as payment for fees with validators deciding upon how they value each of these tokens. Rainbow App, the first mobile client for IRISnet is now available to download from IRISnet Official Website, and can be used by users when interacting with IRISnet. Here is the installation guide. Outside of protocol and wallet development, there are teams that provide services that are essential for every user or stakeholder in the IRISnet ecosystem. Block explorers are free services that work as a data source. They are connected directly to full nodes and are used by users for checking if a transaction has been included in the blockchain, to check on the status of network, to check on what validators are active and voting power, or even current on-chain governance about the network: the status of proposals, etc. Please check Profit and Loss Analysis for Delegators on the official website first. Each validator receives revenue in proportion to its total stake. However, before this revenue is distributed to its delegators, the validator can apply a commission for providing staking services. 5 IRIS in transaction fees. This amounts to a total of 55 IRIS to be distributed among all staking pools. IRISnet is an inter-chain service Infrastructure and protocol supporting distributed business aplications.